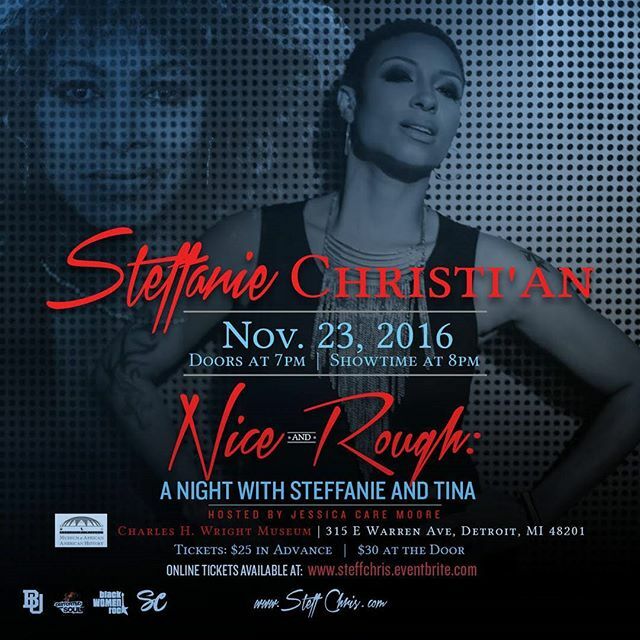 DETROIT, MI: Fiery Rock vocalist and Detroit native Steffanie Christi’an will honor music industry legend Tina Turner with a tribute concert, Nice and Rough: A Night with Steffanie and Tina on Wednesday, November 23, 2016, inside of the General Motors Theatre at the historic Charles H. Wright Museum of African-American History. General Admission seating is $25 in advance, and $30 at the door. Tickets are available at SteffChris.Eventbrite.com and at the door. Doors open at 7:00pm. Showtime is at 8:00 p.m.